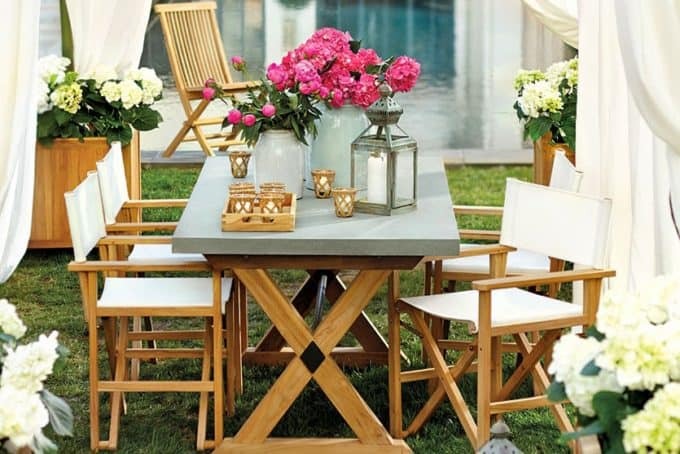 Can you believe that our table and chairs…..
….looked like this a short time ago? ….or the wood tone look like this set from Ballard Designs. 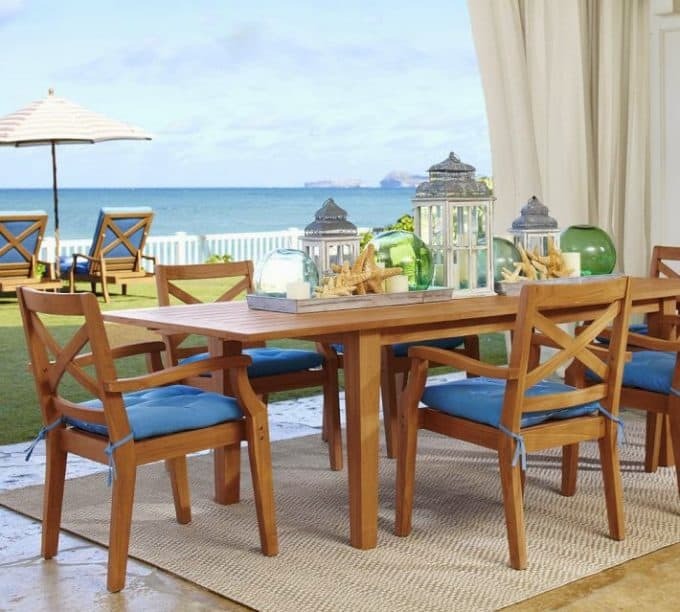 Whether you are a fan of the grey and weathered or the wood tone, teak furniture will last for years upon years with a little care. 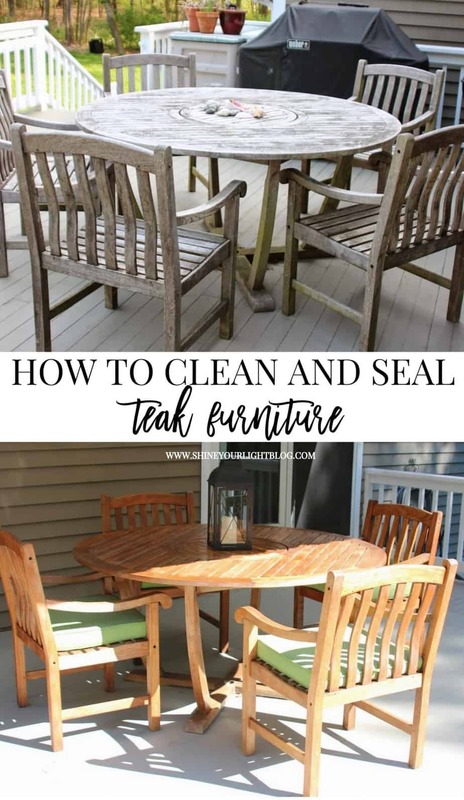 We have had our set for almost 10 years, so I thought I’d share my methods for cleaning and sealing teak furniture. 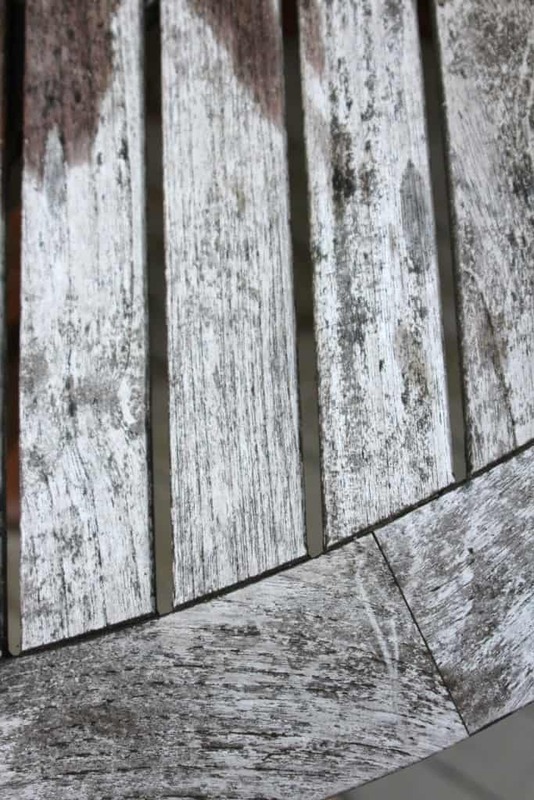 Weathered teak has a warm grey color acquired from unfinished pieces living outside exposed to the elements and sun. 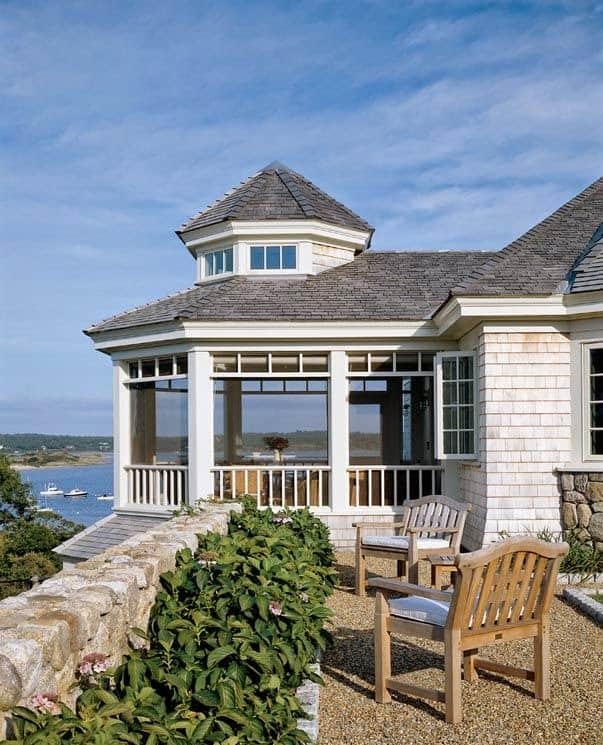 To me it represents a very CAPE COD coastal look that I love. There is a difference between weathered and dirty, though. The two chairs below are a good representation of weathered and just plain scummy. Unsealed teak wood will develop mildew over time if exposed to water on a regular basis. The mildew can be washed away with regular liquid dishsoap, warm water, a hand-held scrub brush and some elbow grease. I have invested in “teak cleaners” in the past but they yield the exact same results as regular old dish soap. After scrubbing off the mildew, giving the thirsty wood some Teak oil will keep it from cracking over time. This is the one I use. You can apply it with a cloth but a cheap nylon paintbrush works great for getting into all the nooks and crannies. When the teak oil is first applied to the clean, bare table and chairs, the warm wood tone returns for a short while. In the photo below you can see how the wood color started fading within a day of applying two coats of the oil. 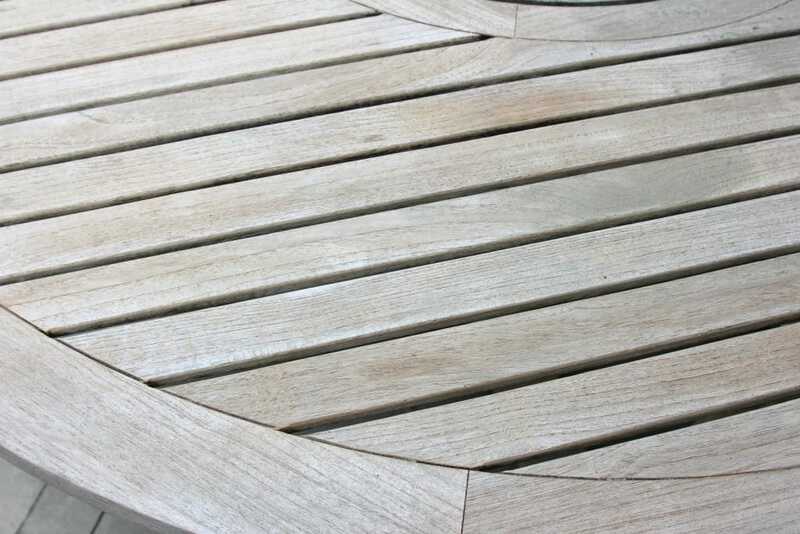 With just the teak oil, over the summer the finish would fade to this pretty warm grey. The wood is not impervious to stains from grease, etc. when treated with just teak oil. I’ve done this for years – scrubbed the mildew off, applied the teak oil, and then let nature take it’s course and turn it all to a weathered grey, and I’m not going to lie – the process is tedious. I clocked 6 hours just scrubbing the table and chairs this year, and then a few more hours to apply the teak oil. 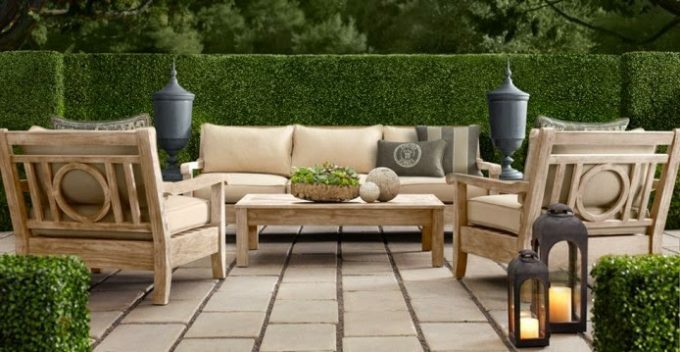 If you love the look of weathered teak, keep in mind that outdoor furniture will require a good scrubbing and application of teak oil on an annual basis to protect and keep the furniture looking great. 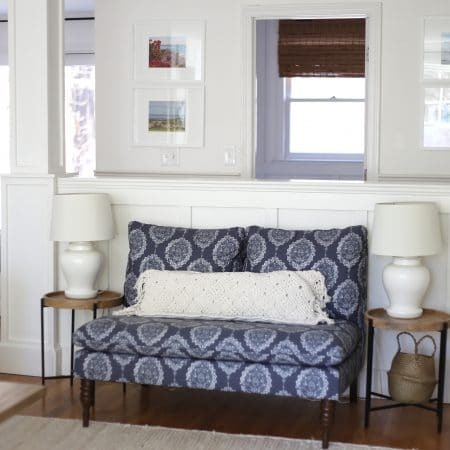 Some people would argue that the teak oil is not necessary if you intend to seal the wood with urethane; you can determine if your furniture needs it based on whether it is new, or has been exposed to the elements for a while. My table and chairs were so dry that a couple pieces had developed cracks, so I “fed” the wood first with a couple coats of teak oil. 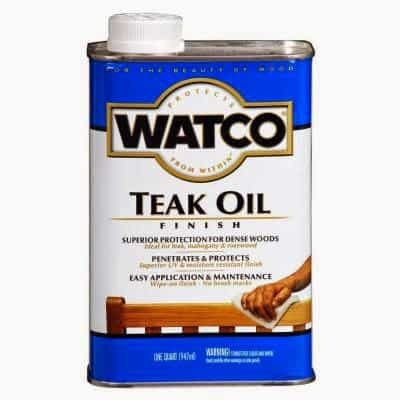 If you are applying teak oil followed by urethane, allow the teak oil to be absorbed by the wood for a few days before applying the urethane. Spar urethane is not a brand, but a kind of sealant that is used on boats to withstand water and sun. 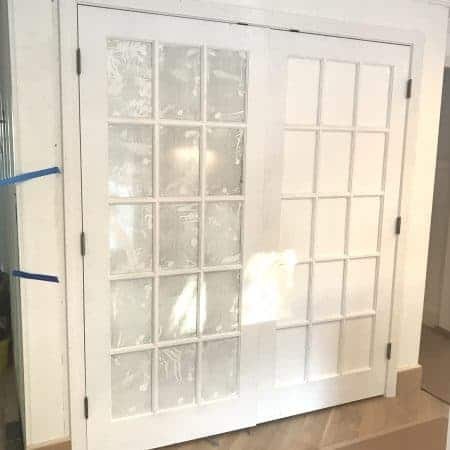 It is sold by Minwax, Rustoleum and other name brands. I used the spar urethane below which is oil based, and applied it with an inexpensive nylon paint brush that I could toss after. Even though I despise working with oil-based paints, I chose the oil version for added durability, but it does also come in a water-based formula. 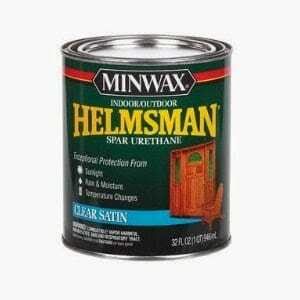 Helmsman® Spar Urethane is a specially formulated protective clear finish for exterior or interior wood that is exposed to sunlight, water, or temperature changes. It contains UV blockers to reduce the sun’s graying and fading effects. 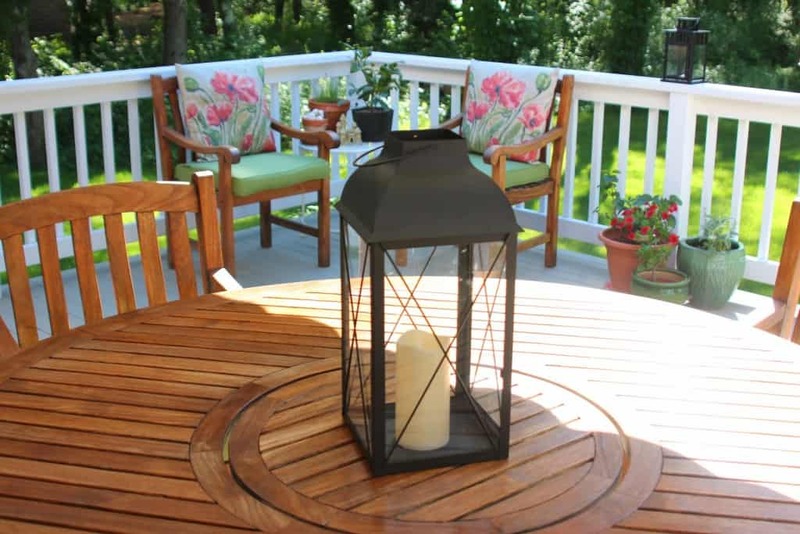 Helmsman® Spar Urethane forms a protective barrier against rain and moisture and its special oils allow the finish to expand and contract with the wood as seasons and temperatures change. 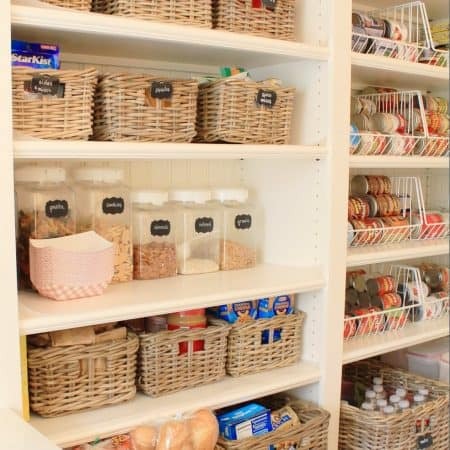 *Our furniture lives outside all year long since we lack storage space for it. 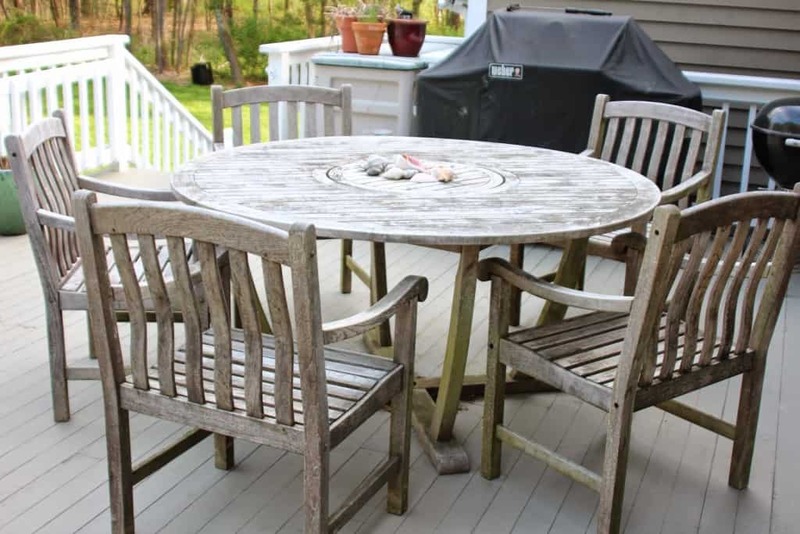 Being exposed to the harsh winter climate will undoubtedly shorten the life of the urethane finish, but covering the furniture with tarps over the winter will reduce exposure. After years with the weathered look, we are enjoying the change. It’s like we have a new set of furniture! AND…..I am VERY much looking forward to skipping the annual scrubbing of the table & chairs next year! A little work, but worth the effort! Wishing you a weekend of sunshine, fun and relaxation! Thanks for all the info. The set looks fabulous!! It looks like a whole new set of furniture! I had no clue that after so many years of leaving it unfinished you could have as good of a result as you did after sealing it. Your whole porch area looks so nice Lisa! Wow Lisa, you really did a great job! It looks brand new! I don't know if I could have the patience to do all that but when I see the end result, I think it would be worth it! Nice! love the transformation! nice to see pictures at every single stage! I love giving newly cleansed wood some oil…you can literally see it absorbing it up! Love your cute scrubbing attire! 🙂 I had no idea the weathered look I thought I liked was grunge…ick! Thanks for all the details, I always learn something from you. Yours looks fantastic, absolutely worth all your hard work!! I'll just call you the furniture whisperer! Love that you're scrubbing in your pearls. Too fun! Fantastic Lisa! 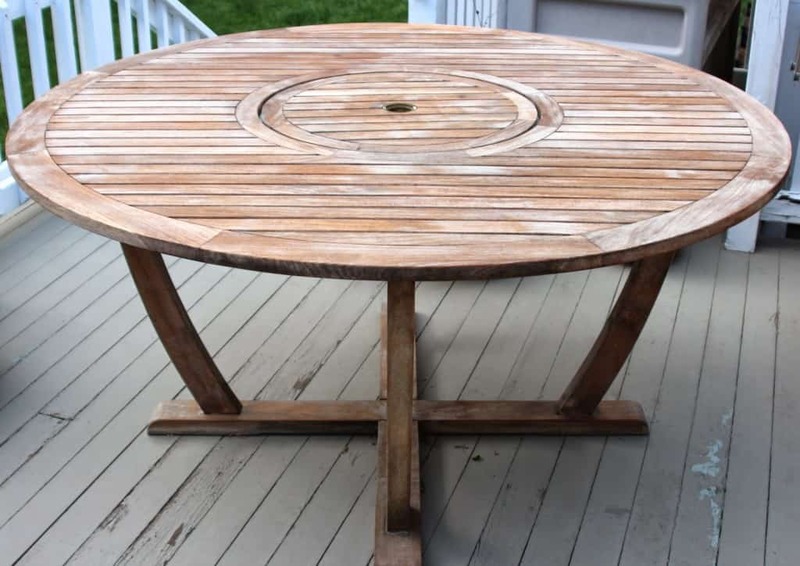 Our first outdoor dining is painted teak – do you have an suggestions on how to properly strip it? I was just thinking of painting over it though since most of out newer furntirues are black. What do you think? This is the most clear and concise article I have found for teak care. Thank u for the great info and photos. Your furniture looks great! 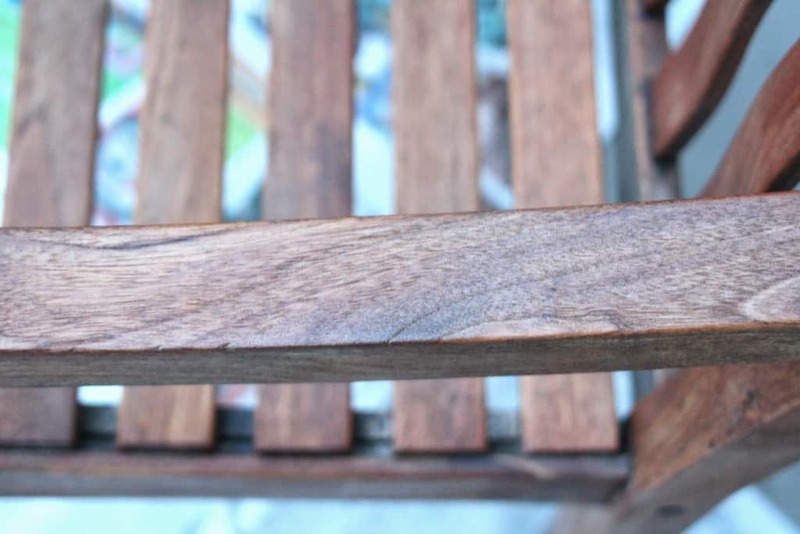 Thanks Shauna – a little elbow grease goes a long way with teak! Thanks for this article! I have this exact same patio set. 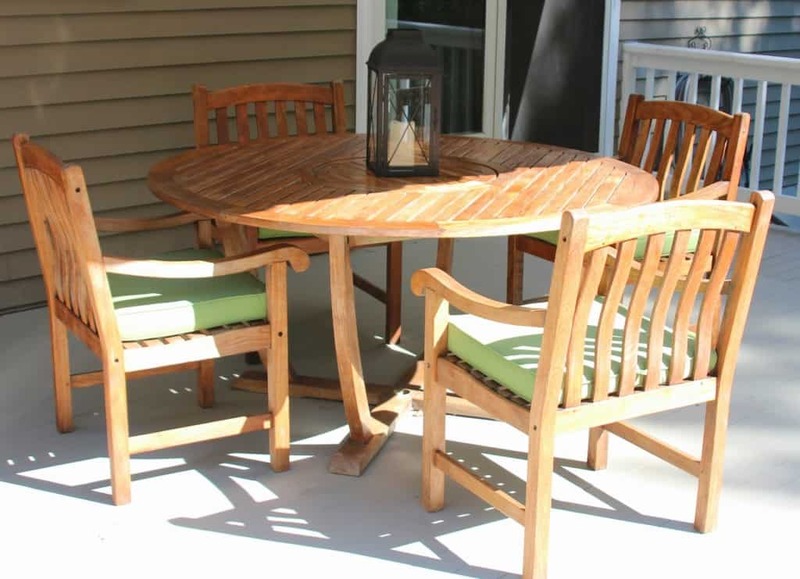 I can’t believe I just found this blog post after spending my entire weekend working on my patio set. How has this held up for you over the past couple years? Anyhow, the table has cleaned up pretty well, but then whole set was coated in varnish at some point and it’s impossible to get out of the chairs. I can’t oil or varnish over it…and I’m considering just painting them. But they’re beautiful and I’m wondering how your set has held up because that will help me decide if it’s worth putting in the extra work trying to sand and varnish these chairs. Love your blog! Stumbled on this post and found it extremely helpful! I am refinishing some discarded teak chairs. Someone applied the wrong finish and it is flaking off, which must have meant that they were worthless. Not to me! Thanks again! Visiting from http://www.twelveonmain.com. Sara I love your blog too. It’s on my weekend reading list!! Hope your chairs came out great! 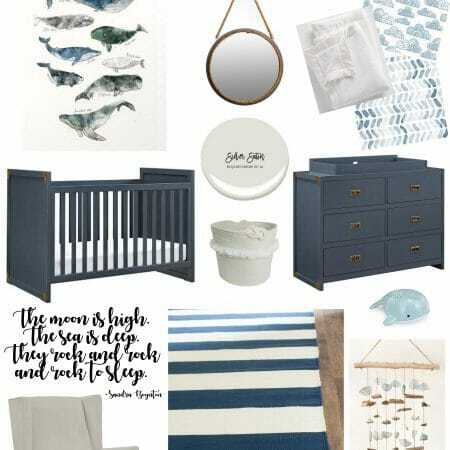 I am totally inspired! 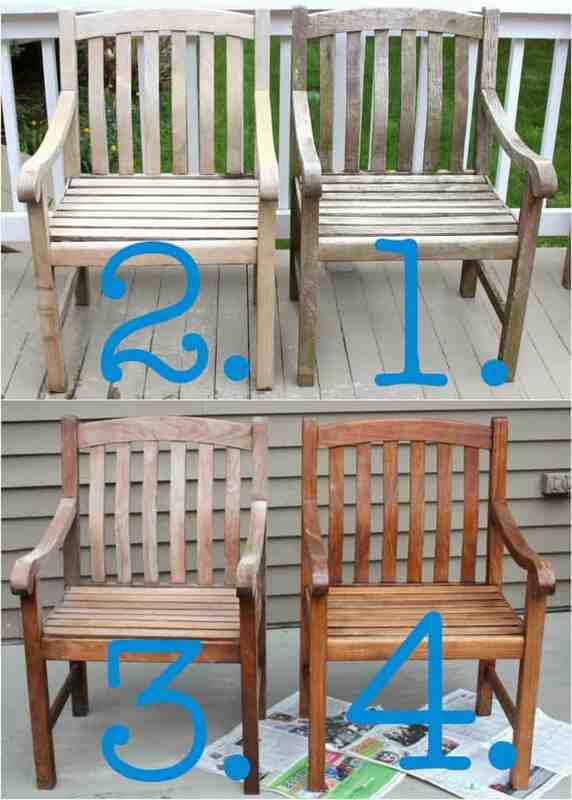 I have a teak set that is in very bad shape but I’m willing to try to revive it. My set is the Target knock off of PB. Where is your table from? Love the lazy suz! Lisa our table is from BJs several years ago. We’ve left it outside uncovered in Massachusetts winters (the snow came before I had covered it!) and so it’s looking a bit weathered again but putting a little effort into cleaning it up is so worth it! Thank you so much for this great post! I have been dreading cleaning my teak furniture. 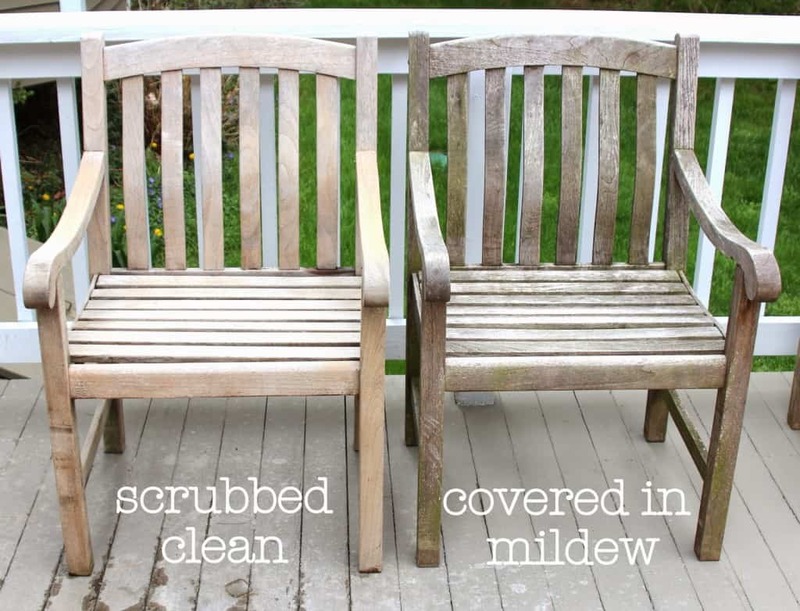 In the past I used teak cleaners but they were a challenge to use and I was always worried what the run off of chemicals would do to my yard and patio. When I read your post I had to try dish soap immediately. I tried using regular dish soap on one side of the table top and Castile soap ( dr bronners) on the other side. Both worked amazingly wel ( I feel dumb for not thinking to do this sooner). The Castile soap worked slightly better – I did not have to scrub as much ! I will finish scrubbing the chairs tomorrow and move on to the teak oil. Hi Marla, I’m so glad the soap and water method worked for you! I couldn’t believe how grimy my set was when I scrubbed it. Isn’t it amazing how well the wood cleans up? The teak oil is great but does need reapplication within a few months depending on the climate where you live! Hope your set came out great.